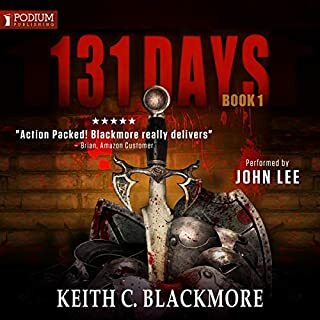 One of my favourite authors strikes again, mountain man, breeds, now 131 days, can’t stop listening. Tense, moments of humour, loved it. Marine lieutenant Waino Mellas and his comrades in Bravo Company have been dropped into the mountain jungle of Vietnam. Standing in their way are the North Vietnamese, the monsoon rain and mud, leeches and tigers, and disease and malnutrition. When the company is surrounded by the enemy, the Marines are thrust into the raw and all-consuming terror of combat. The experience will change them forever. If you could sum up Matterhorn in three words, what would they be? Have you listened to any of Jeff Harding’s other performances? How does this one compare? 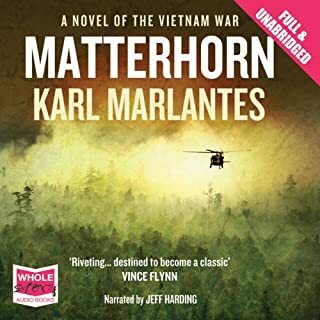 Really enjoyed this audiobook, puts you through all the emotions. One minute your full of hope the next dispair.